Great fit. Exactly what I was looking for. All around good helmet cost to the product. I was (and am returning to) an Arai helmet. Compared it is loud, that is the first thing I noticed. At highway speeds, I need my Sena10 at full to hear it clearly. the venting is not to bad I liv e in Hawaii so that is a big deal. The down to that is that if you run a camera on your chin you block most of the forward vent. the helmet has held up well the seal keeps rain out, the finish did not scratch too much compared to the use I gave it. One final thought is that after continued use the visor release system is failing leading to my face shield coming loose on one side 2x on the highway. I swap from clear to smoke often. Very good helmet. IF IT FITS. Recently started riding, so this was the first helmet I ever got. I have to say the build quality seems very robust, and after reading/watching a few reviews I decided this would be a good beginner for me: not too pricey, checks all the safety boxes. Until I received it. I would understand if it was maybe a size smaller or even bigger. But even after using their sizing chart, the size on this lid is soooo off, the XL wouldn't fit a friend of mine who wears a size M on his Schuberth. I was surprised no one seemed to mention this at all. Or maybe my XL helmet was mislabelled? No idea. I would only recommend to purchase if you've tried this on first. The three stars are purely on fit, I can't quite speak for the other categories seeing as I didn't ride in it. I sold my RF-1200 which I loved but as I'm a long oval, it kept leaving a fairly large dent in my forehead after every ride which always led to a slight headache. I was assured that this helmet would cure that while at the same time be just as aerodynamic. It's basically the same as the RF and in my opinion, slightly worse in the aerodynamic department. So not only is the better helmet gone but I'm left with the same problem after spending $180 + dark smoke shield. I love this helmet, but please know I do not have a tremendous amount of experience with helmets. I needed to upgrade from my basic beginner helmet that was just too bulky and heavy for my neck, as well as had a loud whistle... Cycle Gear recommended that I try the Airmada and I really liked it. My boyfriend is a huge fan of Revzilla so I ordered it thru them, plus they had the solid color one in stock. Worked out very well for my first ride on the Tail of the Dragon! Well worth it! I purchased the Airmada at the same time as the Airframe Pro to compare the two. To give background, I have a narrow (long oval) head shape and was willing to pay extra to get all day comfort. I am currently in an Icon Alliance Dark. 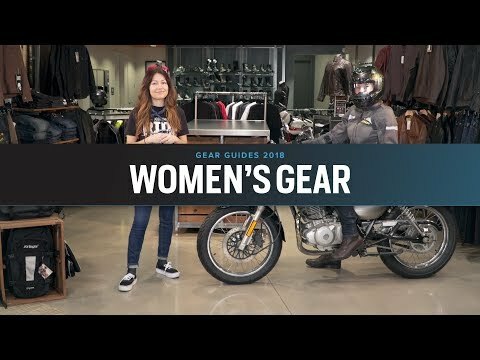 I originally purchased a Shoei RF1200 as my upgrade but it was too intermediate oval and was giving me pressure on my forehead (LOVE the RF1200 other than that). The Airmada is slightly more intermediate oval than its bigger brother the Airframe Pro. The Airmada seemed to have a smaller hole to fit your head through as well, so the Airframe Pro is easier to get on and off. I beat my helmets up and they usually hang out near my bike so ideally I would have liked the Airmada at the better price point, but I had that hotspot on my forehead where the Airframe Pro did not. I did try this helmet with glasses/sunglasses and there were no big issues. Love this helmet - after 3 years of use. I bought this helmet three years ago. Recently was considering an upgrade to Shoei RF-1200 or GT-Air. After trying them on and considering. I just didn't think it was worth the cost to upgrade. I think that speaks volumes about this lid. After 3 years of commuting (1 year of moto only commuting, about 1/4 of the time since) and intermittent camping/touring trips, it still has some life left. I'm replacing the visor and the pivot kit ($10), as one side tends to pop out if I raise it too hard, and that led to the visor flying off and hitting pavement one time, leaving some scratches. So durability can be an issue, but parts are available from Icon/RevZilla. I wanted a tinted visor, anyway. Well, this is my favorite helmet. I have two of them now to go along with the other 4 different brands, colors, shapes that I rarely wear. 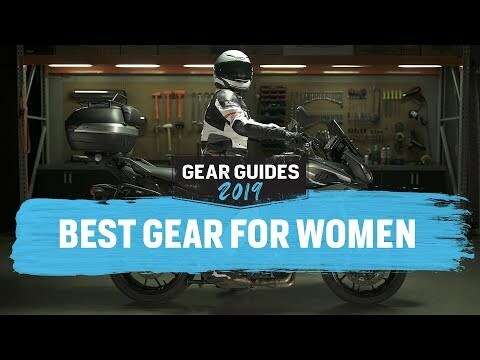 I've worn this Armada for thousands of miles, riding every day, and the fit is the most comfortable for me. It's even better than helmets I own costing twice as much. Airflow is pretty good. The vents are easily opened with gloves on except for the one just below the shield which can be a little stiff. Also, it will fog a bit in cold, wet conditions, but opening the lower vents helps a lot. Simply put, it's a sold performer at a good price. Well done, Icon! great reviews, great ventilation, good long oval size. Great quality and ventilation no extra frills driving up the price point. I currently have an Icon Mainframe helmet that I purchased 8 years ago. Liked the fit of that helmet after purchasing different cheek pads for it. After 20k miles of local and distance riding, it still does the job. That said, I experienced some problems with the rubber seals around the faceshield and around the bottom edge of the helmet at about year 6. Those rubber bits started separating from the helmet shell and I had to re-glue and clamp them. Didn't last, so buying this replacement. I was hoping it would fit. Despite being in the exact size range that Icon specifies the helmet wouldn't even go onto my head. Because of the Texas summers. White reflects heat and the Airmada has great reviews about how well it flows air. Buddy of mine had one. I liked the look, he praised the ventilation during summer and it's close off in winter. Good price as well! Liked the look. High air flow. Didnt want a "Basic" Alliance. Tried it out in-store and fit my head well. Long-oval shape, seemed to be sturdy and well-built. I have a long oval head, and this helmet is designed to fit long oval heads! Not a great for a round head shape. I think my head shape is a "long oval" and this helmet works well to fit it without my chin sticking out of the bottom like a lot of other helmets I tried on. Quality helmet, great price! fits true to size. Air flow and price point. Too narrow for my head. After much research (5 months worth) it was obvious that while this might not be the best helmet money can buy, it is the best hemet that $180.00 can buy. Why 5 months then? Truthfully I had come to this conclusion in the first week. I spent the rest of the time trying to disprove it. Ultimately this was not possible. One of the very few helmet manufacturers who make XXS helmets! I chose this helmet for a passenger that does not fit properly in the intermediate oval helmets without pressure points. The long oval options are not that great but this helmet appears to have the recommendation of the Revzilla team so we will try it out. Australian Standards Compliant. Long oval shape. Right Price. Anthony was talking about another one in the "best of helmets" video, and he said this was the "little brother" of that helmet. I went with it because it wasn't too pricey, had DOT and ECE, and it's long-oval. Hopefully it fits well. I was looking for a helmet geared toward the long oval head shape and this was one of the few that didn't break the bank. It also seems like it'll have excellent ventilation. Long Oval shell. Fits as well as my old Arai Signet at a fraction of the price. No hot spot on my forehead at all! Icon is the best brand anyone can get as far as style comfort and durability goes my brother went down in a crash unfortunately but was able to get up and walk away thanks to his icon gear. I seen this helmet in action and that's why I'm buying him another lifesaver. Keep it up icon! An please bring back the manic artist series design! Because I have owned an icon helmet previously and have like the all world safety status, price, and look. Value. Needed comfortable/quality long oval helmet at a reasonable price. My son selected this helmet-I'm just giving it to him as a gift. I'm a new rider so I wanted something with good safety features as well as not too pricey. The design also caught my eye as well. This helmet fits my head perfectly, vents air well, and is very affordable. The price was right. This helmet runs small. it was tight at first by now it fits perfectly. The face shield is a big draw back. It scratches to easily. Hi. I'm worried about selecting the right size of this helmet. Since I live abroad, changing the product would be very tricky and I've previously bought (and then returned) a Shark Evoline 3 size XL that was way too small for me. Well, I have 24-3/4" of crown circumference (8-3/4" front to back and 7" side to side) is it possible that the 2XL wouldn't fit me? BEST ANSWER: Ah, I see! In that case, I think there is a very good chance the XXL Airmada would fit. Helmets are naturally a very personal thing, but their sizing is only slightly smaller than HJCs, which I find to be pretty average industry wide. Its a great helmet, so if you are willing to take a bit of a risk on the size, I'd say its worth ordering. I have previously used HJC helmets, which are very comfortable on my head in size S. I still wear a size S in the Airmada, but the fit is much tighter; I like that, but if you are squeezing into XXXL, a XXL may not fit. Compared with the HJC, the Airmada is more oval than round. Thank you very much Mark, but the "3" belongs to the name of the helmet not the size, it was a Shark XL that didn't fit me, not a 3XL. Is there room in this helmet to fit a Sena SMH10? I've heard it doesn't have pockets, but is there space in the ears for speakers? BEST ANSWER: Yes there is, I actually have that exact model Bluetooth in my Airmada. I placed the speakers under a portion of the padding that is just a flap, so it works just right. 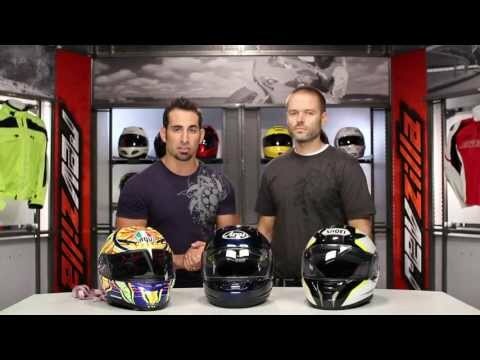 I did the same as Scott M for my new SMH10R in my new Airmada helmet. I used the velcro that came with the SMH10R to secure the speakers to the EPS liner. I just installed it today and took it for a test ride. BEST ANSWER: I wear sunglasses under the visor of my helmet, no problem. I think as long as you don't have big, bulky frames, the helmet will work great with your glasses. I bought a small helmet and I usually wear clear or sunglasses with it. It works better if the arms on the glasses are wrap around style. Occasionally one pair, I have to adjust to feel comfortable...but it may be because I have a small helmet. Very. The seam between the cheekpads and top padding holds my glasses very securely, and there's plenty of space behind the visor for glasses. For reference, I have small frameless glasses. I don't know if it would be as friendly to a big chunky-framed pair. I wear sunglasses under my helmet. My glasses have wire frames similar to prescription glasses. I do not have any problems or discomfort when wearing the glasses. Based on experience with this helmet, I avoid wrap-around glasses to allow ventilation (i.e., prevent fogging of glasses) around the lenses. The airmada has a race fit. Very tight but comfy. It wont accomadate reg glasses but ridr glasses fit ok. Very tight close race fit. I reccomemd a smoke or mirror lens for sun not for reg glasses. The airframe is much more accomodating. But I love my airmada.. hope it helps. Yes - It fits perfectly over my big glasses on my big face! Im sorry im unable to give any information regarding your question because i dont wear glasses or contacts. I would like to buy an airmada, and a large would fit me. But does the airmada accommodate glasses or should I possibly get an XL? BEST ANSWER: I wear a Large size helmet, and it accommodates my glasses just fine. They're fairly small-frame glasses with wire rims, but there's plenty of room in there for larger glasses too. It will definitely accommodate glasses, or even a sena smh10r. I would get an xl. The Airmada's pads are notorious for fitting tightly around the neck and cheeks. Id go with the large. I wear shades under my lid all the time with no issues... hope this helps. Is this helmet a true long oval? Idk if I'd call it a long oval but it certainly isn't a circle profile. Is the airmada snell certified? BEST ANSWER: I assume not since there is no Snell decal. My visor keeps popping off with any major movements. Anyone know how to fix this? Is this icon airmada helmet bluetooth compatible? BEST ANSWER: I added a Sena Bluetooth to mine and found it worked fine. There is room under the lining to install the speakers and enough room in front of my mouth for the microphone. The lining is easy to remove so that installation was easy. Does this fit to glasses? BEST ANSWER: Oh god no DO NOT buy this helmet if you have glasses.. They do not let your glasses sit on your face correctly and can screw up your vision, also if you like to crank the throttle every once in a while the shield will push against your glasses hard.. I actually broke my nose piece wearing my Icon at 80 miles an hour..
anybody with chubby cheeks experience anything uncomfortable? I don't want to be biting my cheeks the entire ride.